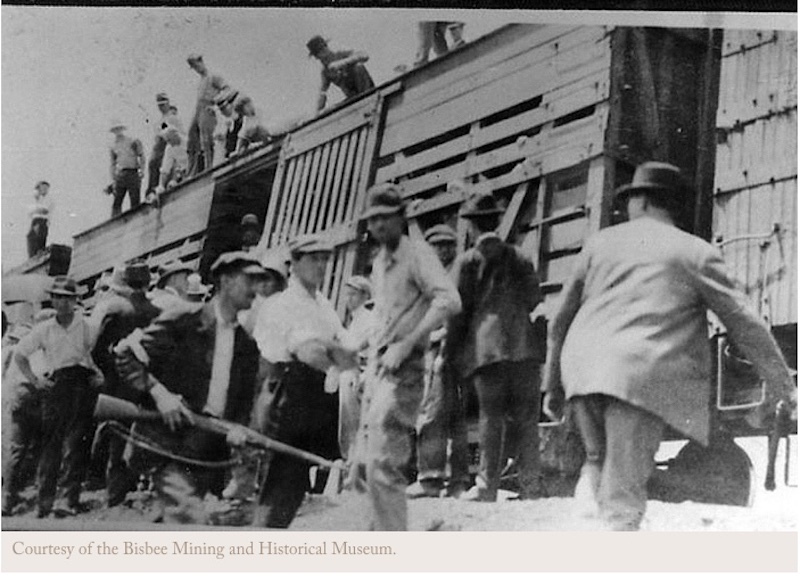 Striking miners in Bisbee, Arizona are loaded onto boxcars in this photo from 1917. UPDATE: I have seen the film and I recommend it. Men with guns, shouting crowds, inflamed rhetoric about immigrants, demand for their deportation – that sounds like the daily newscasts, right? 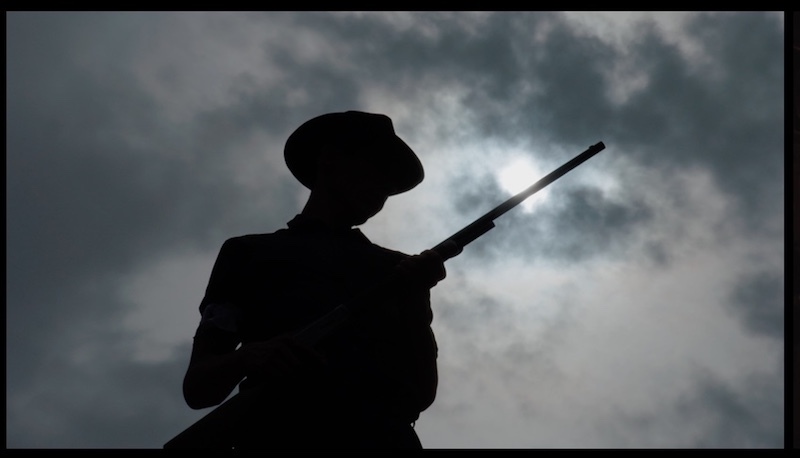 It also describes the trailer for the documentary film Bisbee ’17. You can see that trailer below. Montrealers can watch the entire film on Monday, Nov. 12 or Friday Nov. 16, 2018 as part of documentary film festival RIDM (Rencontres internationales du documentaire de Montréal). “In July 2017, the town of Bisbee, Arizona marked a sad centennial: in 1917, the town was the site of the violent deportation of more than 1,000 striking copper miners, who were abandoned in the desert by an armed posse hired by the mining company and led by the sheriff. Bisbee ’17 has rave reviews on the web site Metacritic, with scores ranging from 75 right up to 100. Monday, Nov. 12, at 7 p.m.
Robert Greene (filmmaker), Fernando Serrano (protagonist) and Bennett Elliott (producer) will be there to take part in a Q&A after the film. Presented in collaboration with Cinema Politica. Friday, Nov. 16, 9 at p.m.
See the RIDM web site for ticket information. Come really early or buy a ticket online of you want to be SURE to get in.